ENTEKHABAT 93: 68 Days to Elections January 26, 2014 | . :: Elections 2014 ::. 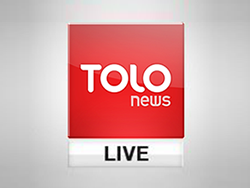 Host Omid Farooq discusses about recent attacks, insecurities and its impacts on election process, with TOLOnews reporter Aazem Arash. In this episode, MP Syed Akram, Fazl Ahmad Shirzad, Nangarhar Police Chief discuss the current state of Nangarhar province.